# 6 Canine Companions for Indep. # 28 Elite Edge Training/Kaizen Edge Fdn. 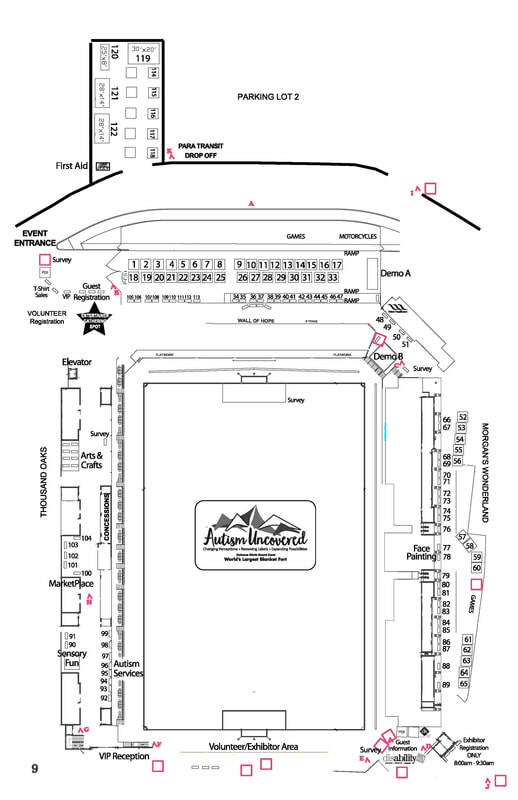 # 46 San Rafael Healthcare, Inc.
​Exhibitor Layout and Listing map.